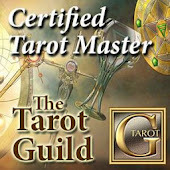 I'm very excited to be participating in the Business of Tarot Telesummit. I will be sharing tips, tricks and ideas on how to make the most out of your moments in the spotlight. Today so many of us have our own outlets, whether it's our own website, social media, or on the air, live or recorded -- we're all broadcasting! I will share what has worked for me as an interviewer and interviewee. Tips on interviewing others and being interviewed. Whether you host your own show or want to be a guest on someone else's, I will try to cover the bases in this one hour presentation to help you be ready for "Action!" Pssst... and I have a special freebie for those who listen to the presentation live or in archive.